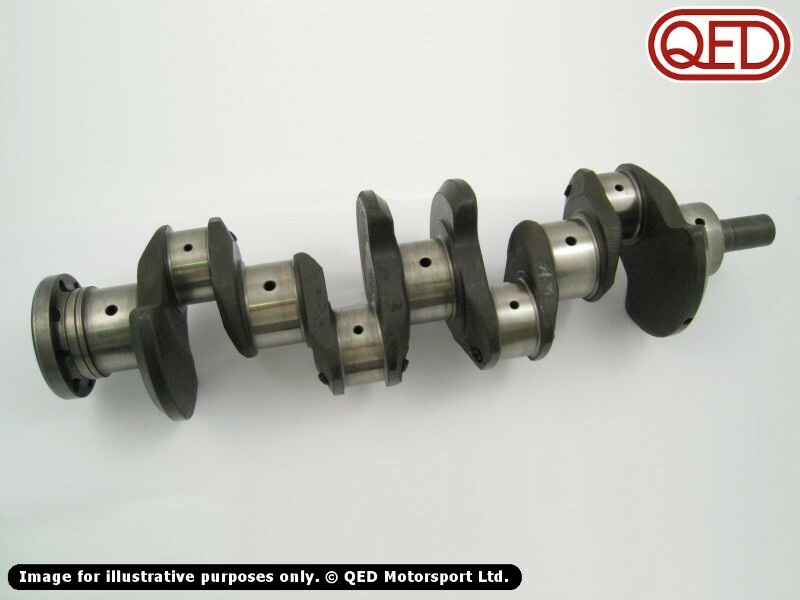 For motorsport applications an engine will need to run at speeds beyond the limits of the standard crankshaft. Inevitably this means a steel crankshaft for greater strength and reduced weight. However a steel crank, most commonly available in EN40B material, is a very expensive proposition, especially for the club level competitor. The clubman’s solution for a high revving engine is to use a crankshaft produced from EN19 material, which is still strong enough, and light enough, to allow for engine speeds more appropriate to competition use, but which provides a more affordable option than the EN40B used in big budget racing. In response to demand from both public and trade customers, we can now supply new EN19 crankshafts with 72.75mm stroke (1558cc Twincam) or 77.6mm stroke (1600cc X-Flow).